McKinney Chapel is older than Pickens County. ​The Chapel is the property of the Southern Conference of the United Methodist Church. John McKinney came to the Eastatoe Valley in 1820 and built a log structure that served as a church and a school. The present 90 some year-old building was a collaboration of community people from various denominations. This group of early builders were mostly members of the McKinney, Chapman, Stewart, Mosley, Ellenburg, and Bowie families. Presently, the Chapel is property of the Southern Conference of the United Methodist Church. The historic cemetery lists the names of many early settlers and family members. Plain stones mark the graves of slaves, and it is believed that Native Americans are laid to rest there in unmarked graves. Living in the shadow of McKinney Chapel was the Gene Chapman family. With dedication and love of the Chapel, Gene and Georgia Chapman worked tirelessly to support and repair the aging building and grounds. Again, with the help of family, neighbors and friends, Georgia continues to maintain McKinney Chapel. For a period, Grace United Methodist Church held monthly services at the Chapel. In November 2007, the first Thanksgiving service began an ecumenical once a month worship service by the residents of the Cliffs Vineyards community, under the direction of a committee and the guidance of Rev. Beverly J. Kelly. The mission of the Chapel committee is "People gathering in God's name to worship and to serve." Over 10 years, the Chapel offerings have supported local food pantries, and other charities. “When we looked for a place to retire, the Cliffs community was our dream”, Rev. 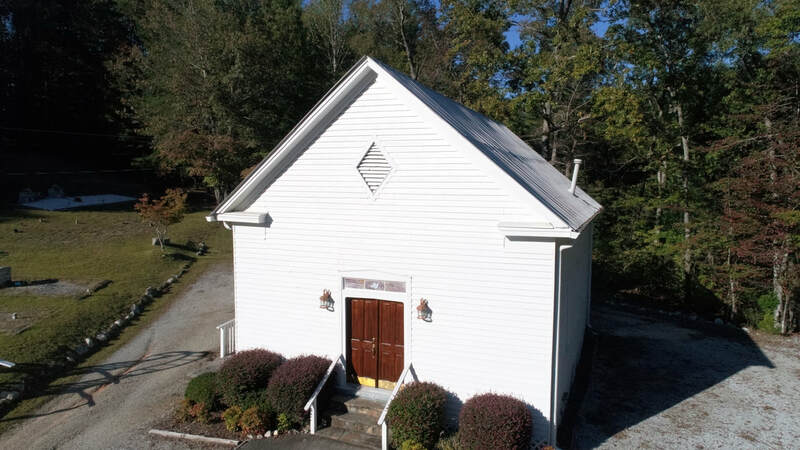 Kelly said, “but the deal-closer was the little Chapel with no one worshipping there and the paint peeling off its walls.” “It was begging to be filled with people praising God and loving one another.” Next door to Rev. Kelly was also a new resident, Dianne Scherer. “When I talked to Dianne, I was excited to learn she was a past Chair of the worship committee in her Presbyterian Church”. So, in Presbyterian tradition, a McKinney Chapel committee was formed. At one of our first community meetings, an appeal for someone to play piano for worship was announced, and Judy Goosen raised a hand! We were off and worshipping! God places people where they are needed. Our most joyful outreach has been a joint effort of the Falls and Vineyards communities to share in the leadership of the worship services. The McKinney Chapel Choir, now under the direction of Kirby Colson has touched hearts in our Cliffs communities, in Pickens County churches, the Foothills Presbytery, the Presbyterian Retirement Communities, and the Reserve worship service. The McKinney Chapel Committee is grateful for the partnership of the United Methodist Church in this ministry. We are blessed to share with Mrs. Georgia Chapman the ministry and purpose of the little church John McKinney built many years ago. Thanks be to God for all the people who have been spiritually fed there.